We’ve been receiving many reports that 7-11 convenience stores are selling Gears of War 2 before its November 7 release (hey, that’s tomorrow!). Even Penny Arcade’s Tycho managed to grab a copy early. We’re not sure how wide spread it is, but if anyone out there is eager to get their Gears fix right now, head to your local 7-11 and see if you can’t snag a copy. We’d suggest being coy about it, maybe just ask to see what games they have. 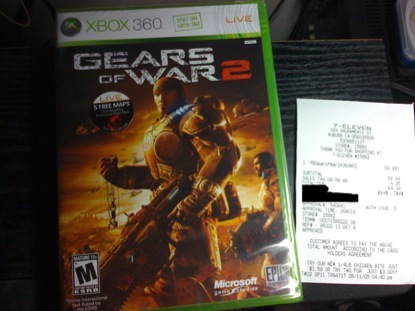 Once you lay your eyes on Gears of War 2, you might say something along the lines of “hey, that game looks pretty neat. I’ll take it, good sir (or madame).” Then casually produce your payment, grab the game, and run like mad. 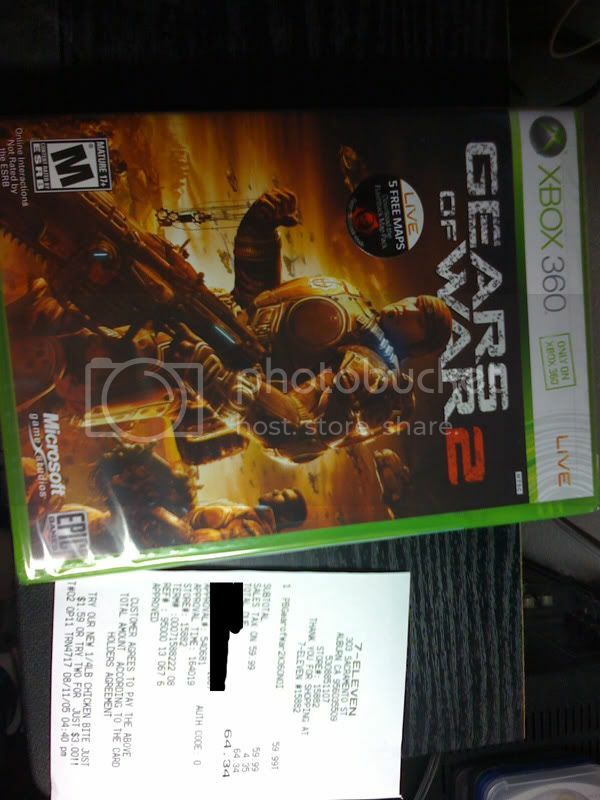 This entry was posted in 7/11, Gaming, GoW2, Xbox 360. Bookmark the permalink.